1st & 2nd Class Tour to Fota Wildlife! On the 15th June, 1st and 2nd class travelled to Fota Wildlife Park in Cork for their school tour. We had the most amazing day exploring the grounds, learning about animals and playing in the playground in the sunshine. We also got to be scientists and use pooters and other equipment to search for minibeasts! Back in school, we created projects about our favourite animals in the zoo and presented them to different classrooms. We also created some colourful art based on the animals we saw. It was a terrific day! We also had an ice-cream picnic on our last full day of school as a special treat for our great behaviour and work this year. 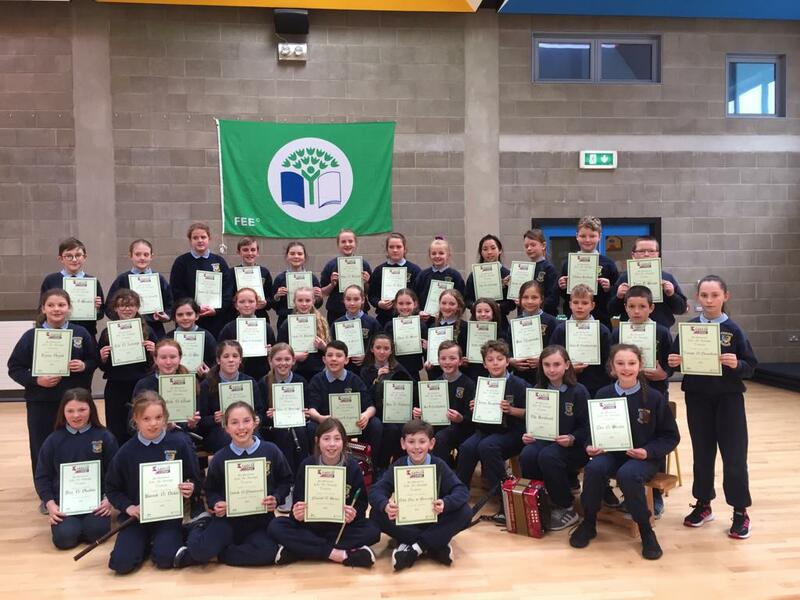 Well done 1st and 2nd class! Next From caterpillars to butterflies! Fun in 2nd class!